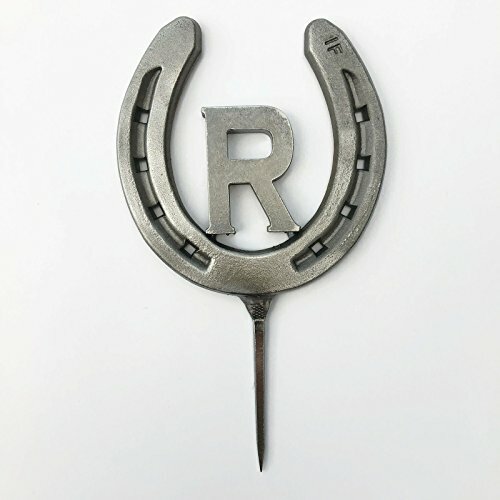 The horseshoe is a symbol of luck and happiness. 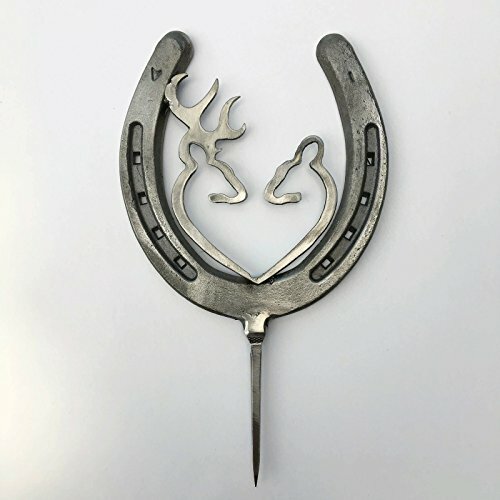 Horseshoes usually hung on doors, windows, and fireplaces. 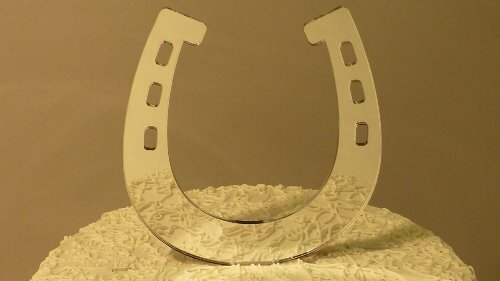 Many people think that horseshoes bring wealth to the house. 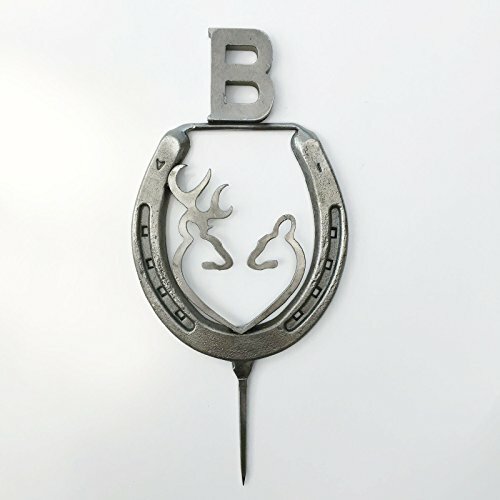 Therefore, they use in the decoration of not only the premises but also for decorating different dishes. 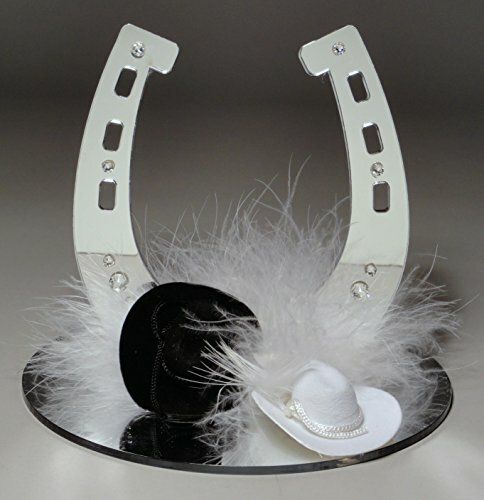 In this section, you can choose horseshoes topper for wedding cakes. All newlyweds dream of a happy long and productive life together. 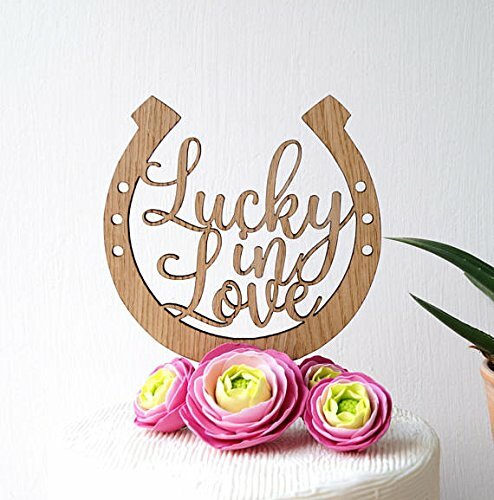 A wooden horseshoe with the inscription “luck in love” will make your cake very bright. 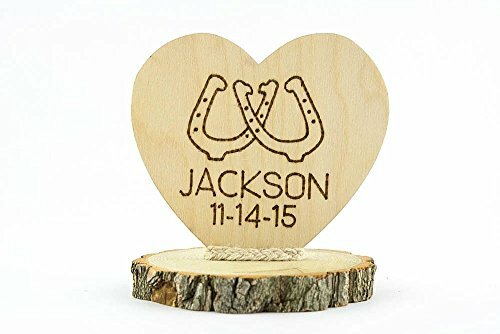 You can also order a wooden heart with your name and date of marriage. 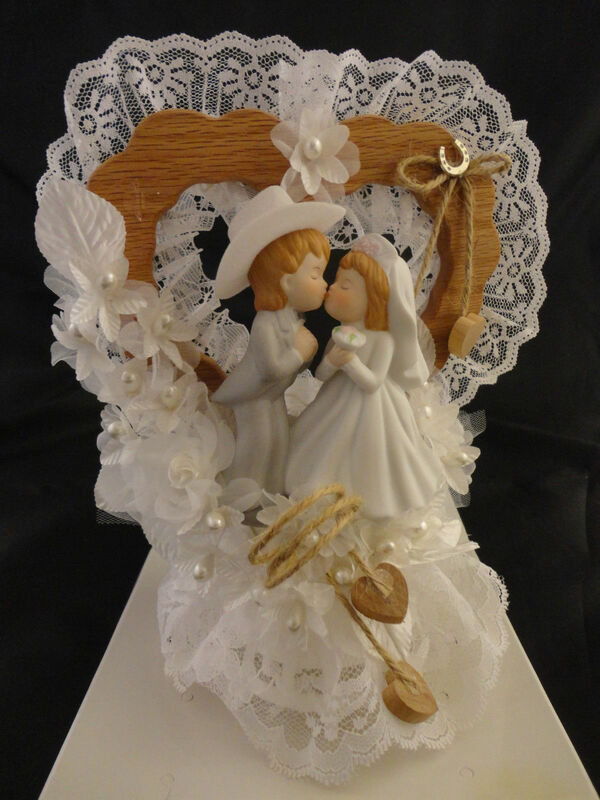 It can be used not only as a topper for a cake but also as a wedding decoration. We also have one fantastic option – an acrylic topper in the form of a horseshoe, on which the laser can write your initials or names. 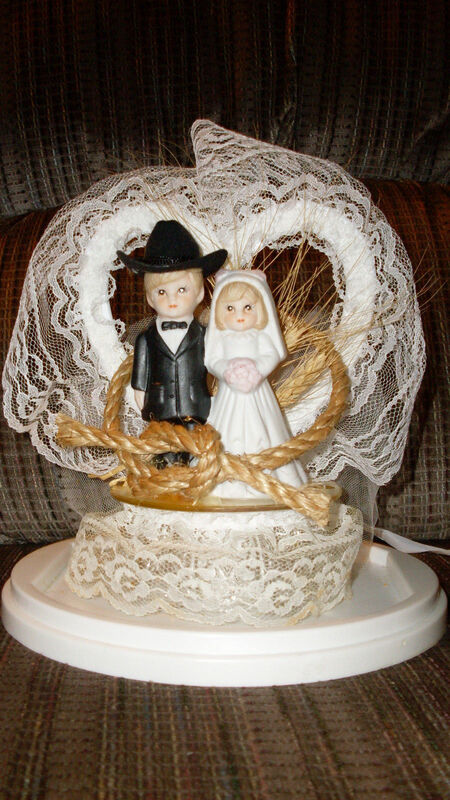 If you like figures, we can offer a couple of newlyweds, where the groom is wearing a cowboy hat. 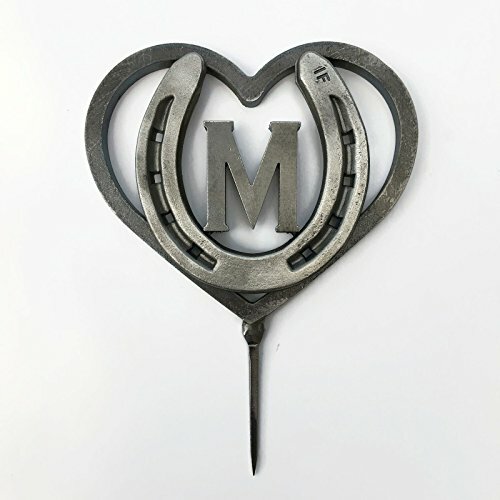 We also have a wooden horseshoe with hearts and a pair of cowboy hats. 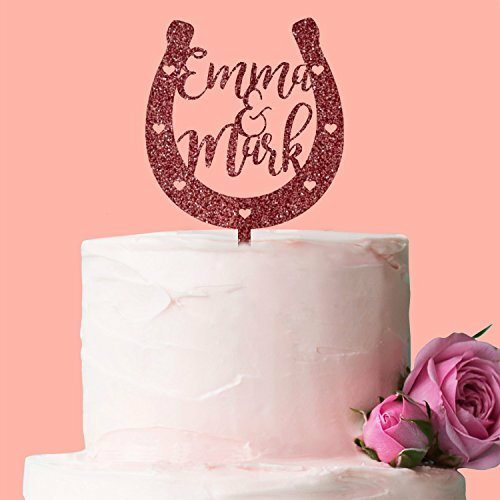 Our toppers will be able to make your cake unique and original. For example, a couple of young people with the inscription “Mr. 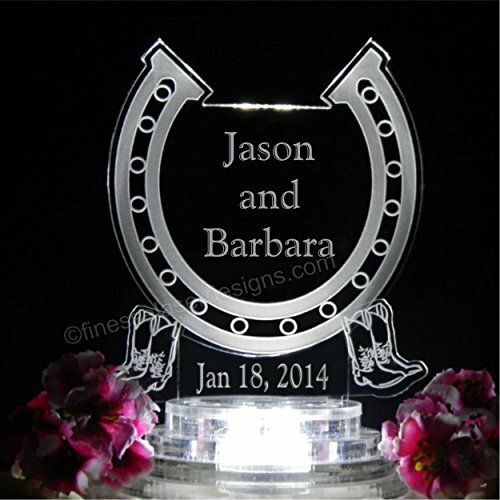 and Mrs.” who kiss and stand on the horseshoe – this is an excellent option for a couple of newlyweds who want to stand out from the background of others. 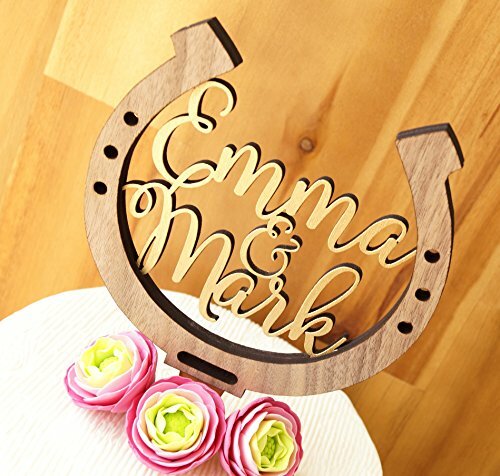 We hope that you will be able to choose a topper for the wedding in this section with a symbolic horseshoe, which will uniquely bring you luck and happy family life. 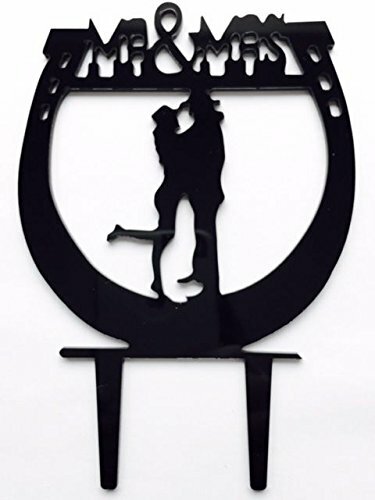 Our products are made of quality materials and can store for many years. 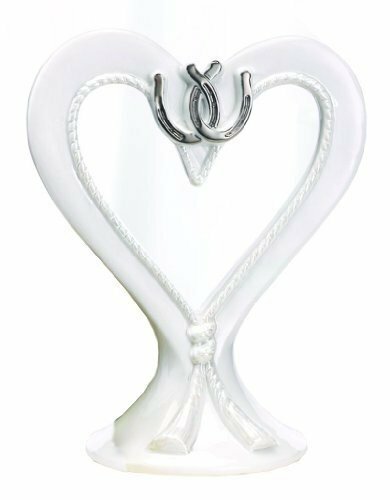 You can put it on the shelf and use it on your wedding anniversary. See related products for these two links: Dinosaur Cake Toppers and Lion Cake Toppers. 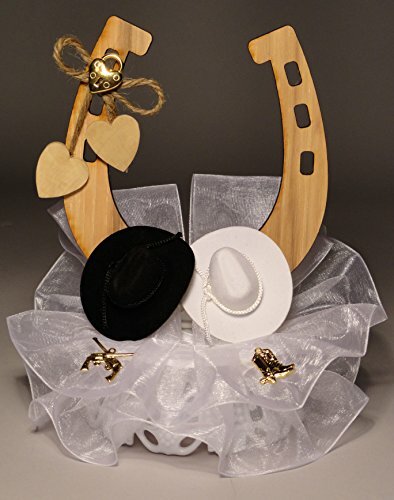 Wooden Horseshoe with wooden hearts, felt cowboy hats, and gold cowboy boots and pistols 8.5"H I Do Forever has many western-themed wedding accessories including cake knife/server sets, toasting glasses, gaters, and unity candles.